For over seventeen years we have been the premier builder of screened porches and open porches in Avon, Cheshire, Farmington, Guilford, Madison, CT, and the surrounding region. Building custom outdoor living environments and structures is all we do. Our consultation is completely free. Call us today to discuss your ideas. Even the homeowner’s dog is enjoying the new three-season porch in Windsor, CT by Archadeck of Central CT! 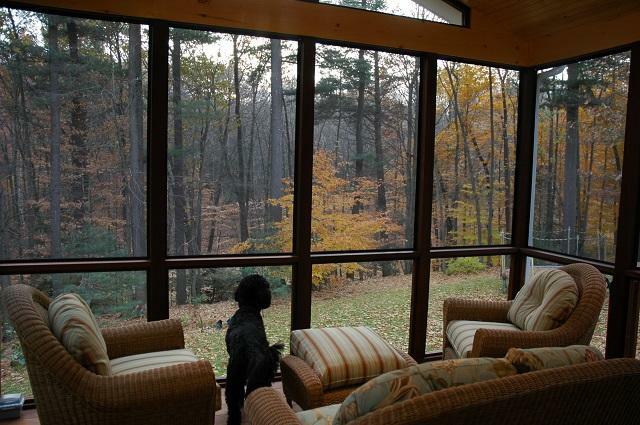 A three season or screened porch functions beautifully as part of an outdoor living combination. This design provides this Windsor, CT homeowner the best of both worlds with a newly directed deck design and a stunning three-season porch all of which is constructed from Ipe Brazilian hardwoods. Archadeck of Central CT specializes in being able to provide quality outdoor spaces for homeowners with varied budget, spatial and lifestyle needs. Each one of our porch and screened porches is custom designed to blend seamlessly with your home and reflect your personal style. Our porch designs reflect beauty, quality and extended enjoyment where form and function combine as one. Each of our custom porches is steeped with the craftsmanship and attention to detail of a by-gone era. Think no one builds em’ like they used to? Archadeck of Central Connecticut does! The view from this open air screened gallery interior in Litchfield County, CT overlooks the lush landscaping and a serene water feature. 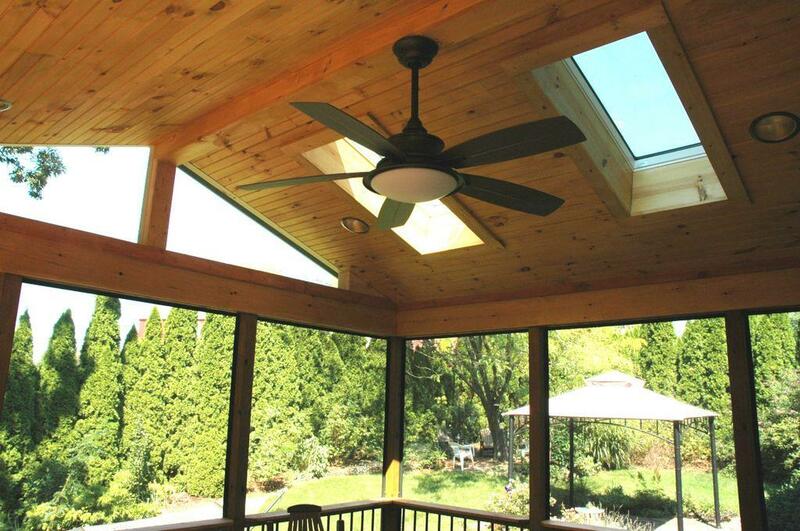 Archadeck of Central CT thinks outside the box when it comes to our artful eye for porch design. This project consisted of coming up with a no nonsense design to screen in the existing gallery without disturbing the integrity or the flow of the space. The homeowners wanted to keep the space as original as possible. The homeowners enjoy privacy and their new screened open air gallery allows plenty of room for entertaining if they wish. The completed space promotes a Zen effect, tranquil and serene as it overlooks a relaxing pool and provides an unobstructed view of the lush backyard. The precision that went into designing each detail of this Southington, CT, three season porch is a perfect example of our craftsmanship and the pride we take in each of our projects. 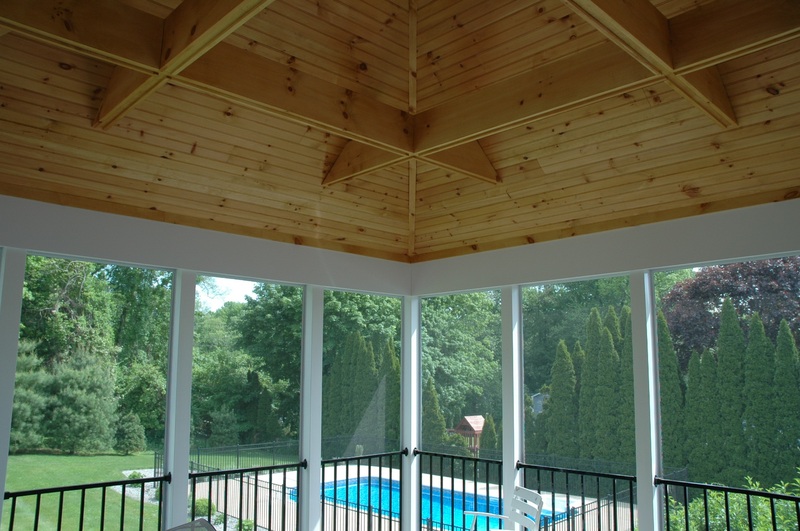 You can read more about this stunning project on our blog story An Intricate Roof Design Leads To A Picture-Perfect Three Season Porch In Southington, CT.
Are you thinking about adding a porch or screen porch to your home and landscape? There is a myriad of design options, choices, and considerations. One of the things we enjoy most is walking through these decisions with you and helping you decide the options that best suits your individual tastes and function of your porch space. What size porch fits your needs? Do you want a rustic look or a more finished interior look? What are the flooring options and which best suits you? 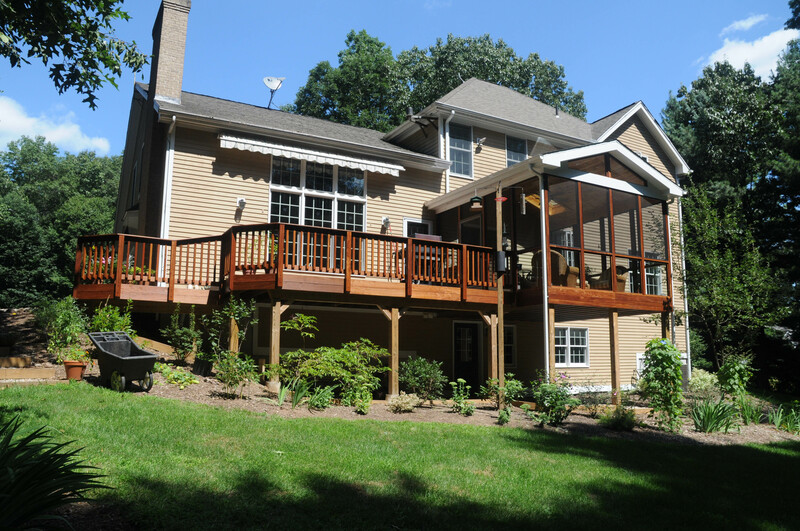 We’ve built hundreds porches, sunrooms and decks in the Central Connecticut market and our consultation is completely free. Our experience and expertise will ensure your porch is as elegant as it is functional. From adding valuable space for entertaining friends and family, to spending quiet time alongside the beauty and magic of Mother Nature with the ones you love. Imagine the outdoor living possibilities a porch would provide in your backyard. 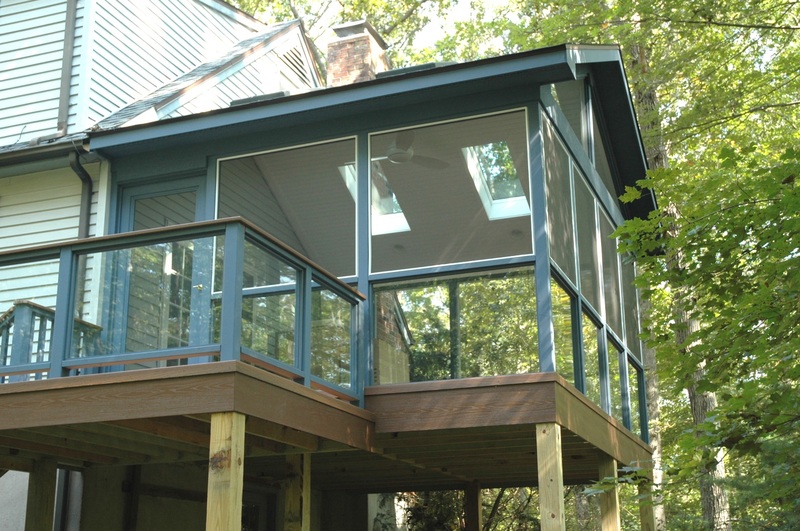 This screened porch addition in Ivorytown, CT has changed the way these homeowners view and use their backyard. 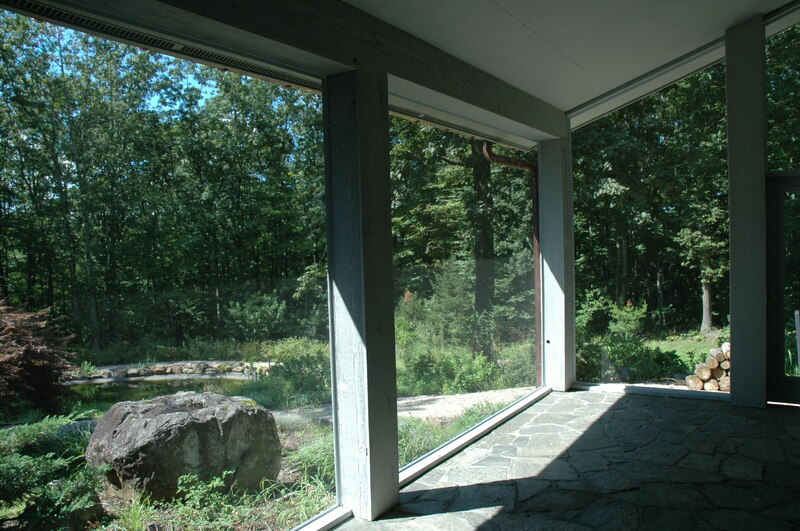 View from the interior of the screened porch. 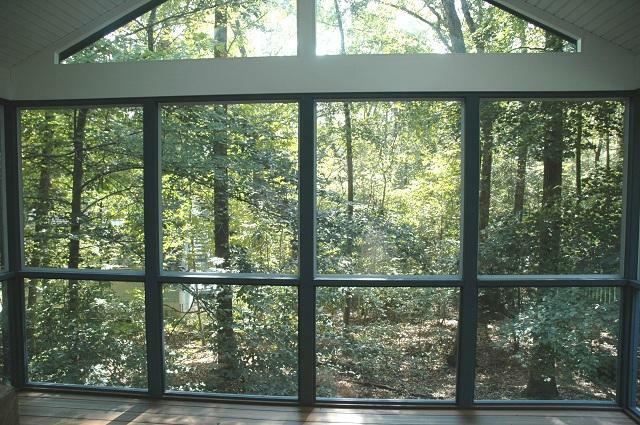 Are you considering a porch or screened porch addition to your Central Connecticut home? Contact Archadeck of Central CT for a free design consultation at (203) 793-7142, or via email at [email protected]. We look forward to bringing the porch you envision to life!